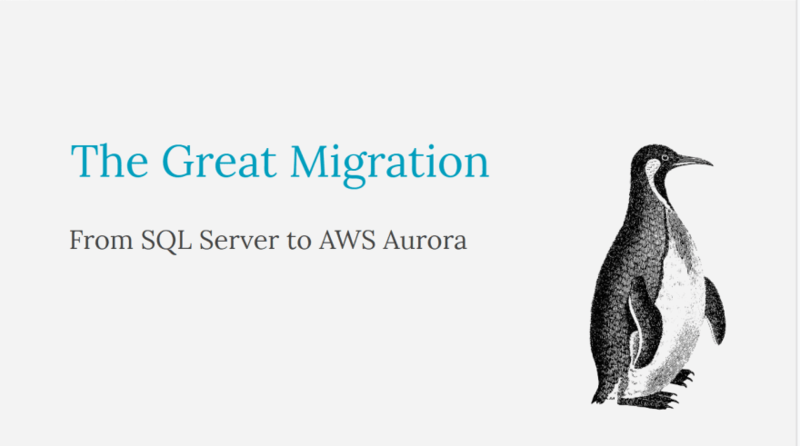 Over the last nine months, I've been leading a project to migrate 60 Data Analyst users and all their objects from a legacy SQL Server database to a fit for purpose, scalable AWS Aurora database. What I hope you take away from this post is not only that it's very easy to get started with AWS, but that migration is a team sport. This project would not have been a success without the buy-in and support from the Data Analyst users. Analytics has been growing incredibly quickly at Xero. There are now over 60 Analysts using the platforms that my team, Data Services, build and maintain. But it hasn't always been this way. Back in 2015, there were four Marketing Analysts in Wellington and another four in the regional offices in London, San Francisco and Melbourne. 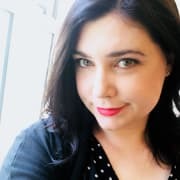 Data Science wasn’t a hot job yet, and the Data Analysts role was primarily to support marketing automation by using the Data Services platform to pull lists for email campaigns. By the time we reached 2017 the community had grown to around 20 Analysts and the cracks were starting to show on the SQL Server environment. The amount of data stored was going up every few months, and there was a demand for faster processing. Fast forward to today and there are now over 60 Data Analysts and Scientists who use the Data Services platforms for everything from sales reporting, analysing sentiment in customer tickets and tracking customer journeys through the Xero app. The SQL Server deployed as a sandpit environment was designed for a much smaller workload, wasn’t intended to be a production space and became much harder to monitor, debug and deliver a quality service. Tables being empty and not enough visibility of when the 12-hour process to update the SQL Server environment would complete. Regional Analysts losing work time as the update window cut into their workday. And can scale with us as we grow. Scaling up with AWS is as simple as pressing a button. Aurora is a better platform Analysts as it’s 5x faster than SQL Server, 3x faster than standard PostgreSQL with queries running in seconds not minutes. Before we could start solutioning a new environment, we wanted to make sure there was a shared understanding between the Analyst community and Data Services. Migrations within our own team had been tricky enough but this one had added complexity. We have users in four different timezones which makes it a challenge to schedule meetings and keep communication flowing. Due to Xeros growth, there are new Analysts starting each month. Some Analysts have only Excel experience, others are used to crunching through big data sets. 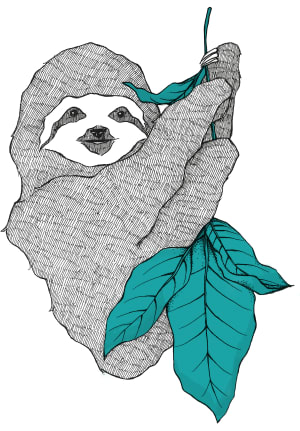 To get everyone on board we have held monthly workshops with key users, created a dedicated Slack channel and focused on making the environment as accessible as possible. In mid-2018, with the community on board, we launched a Proof of Concept Aurora database and took stock of the SQL Server environment we were dealing with. The first thing challenge was to see how many tables we would be tasked with migrating and hopefully reduce that to the bare minimum. Because the SQL Server environment was designed as a sandbox there were legacy tables, temp tables and schemas of objects no one seemed to own. Through a huge amount of effort and a little bit of pestering from me, we managed to clear out 2500 tables and freed up 2TB of disc. Challenge number two was to replace the mechanism used to move the data from our Data Warehouse to the Analyst Environment. Some tables are billions of rows deep, and others are hundreds of columns wide which the SSIS process wasn’t coping with. Having to translate all that data from a Postgres Datawarehouse to a SQL Server database reduced efficiencies and updating the SSIS packages that moved the data around was tedious and fiddly. By using DB Link and Apache Airflow as our scheduler we’ve removed the complexity in transferring between the Data Warehouse and Analyst Database. And the copy time has gone from over 12 hours to just two. Our third challenge was to find a scheduling tool that the Analysts could use to schedule their stored procedures. Aurora does not come with a built-in job agent so we needed to work through other possibilities. We considered CRON jobs but not all the Analysts are familiar with the command line, we then considered standing up an Airflow server for the Analysts, but with each new job scheduled, the server needs to be restarted. This could have been a disaster with Analysts in four timezones potentially interrupting running jobs to schedule their own. In the end, we decided on using what was already there. Windows task scheduler, as it provided little disruption and was a tool the Analysts were already familiar with. The last major consideration we made was around security and separating functional groups. In SQL Server everyone could see everything, so everyone could potentially delete anything. Unlike a traditional database migration, we had some tools from AWS to make things faster and easier. But just like a traditional migration not everything went according to plan. The Schema Conversion Tool works hand in hand with the Database Migration Service but has presented the biggest challenges through the whole migration. The Schema Conversion Tool is designed to seamlessly convert the entire schema with all its keys, constraints and indexes. Once configured with a set of transformation rules the Database Migration Service then converts the data to automagically land it perfectly in the new destination database. From reading the documentation it sounds like it should be perfect and seamless, almost like magic. But, there was a lot more manual intervention needed in this process. The further we got through the process, the more fiddly it became. Sometimes it would run all the transformation rules so the data moved as expected, sometimes it would pick some and sometimes none at all. A lot of the time this resulted in multiple tables landing that needed to be cleaned up. Despite some challenges in designing the right environment and moving the data around, we went from gathering requirements to User Testing in six months. But the challenges don’t end here. Building an environment in isolation is very different from letting over 60 users lose, there’s the new syntax to get to grips with, less technical users needing more help and queries hitting the database all at once. It’s still early days but the feedback has been great. “Great job commissioning Postgres and migrating all the data. Not an easy task. We’ve had feedback on how smoothly everything has gone, even though there were bumps in the road to get to where we are now. “Wooo hooooo! Aurora is excellent. The Analysts have enthusiastically taken to the new system and are getting to grips with the new UI, the new tools and the quirks that go along with a new database. “It feels so much faster! The copy times have reduced from 12 tedious hours to just over two, Analyst queries are much quicker to return and ownership is a lot clearer between Data Services and the Analysts. We’re documenting everything we can in a user guide that gets added to by both Data Services and the Analyst Community and the Slack channel will stay open for the Analysts to help each other. As one of the first teams to make the move to Aurora we’ve found the process fairly smooth and having such positive feedback has been a huge win. If you would like to get started with AWS the first step is to check out the free tier. AWS offers one year of services to explore what they offer. Aurora comes in MySQL and PostgreSQL flavours and Serverless is also on the roadmap. After that, it's a matter of clicking a few buttons to get going. But it’s not just about tooling, as migration is a team sport. We have the community of data Analysts and scientists working with us to build out a roadmap and it’s encouraging to see that they help each other out. By listening to the communities ideas and taking a slow and steady approach we have tackled the planning, development, migration and training of 60 users in just nine months. We’re now in a really good position to build the platform further for the Analysts we support and contribute to their success. But, there was a lot more manual intervention needed in this process... sometimes it would pick some and sometimes none at all. Could you please give examples of what "manual intervention" were needed? Which are the times when "sometimes none at all"? -- How was the problem discovered? How was the cross-database data comparison achieved? And when "needed to be cleaned up", what clean up is needed and how did you do it? Hey Helen, if you have the information of the size, the cost and the speed of the migration from x to Aurora vis DMS for your use cases I know that is high-value knowledge to share since the docs don't really give you examples. I recently assisted migrated a 10 million row database from Postgres to MySQL Aurora Serverless and the migration was done in under 10 mins. I believe the cost was negligible but I personally don't remember. We made the conscious decision to create a schema for each function so they have a dedicated place to write their tables. Analysts then grant access to tables they want to share because everyone shouldn’t have access to everything"
That's a critique of your original database design, but it reads like a limitation of the SQL platform. I'd love to get my teeth into some cloud database projects but all the companies I work on cannot allow their data to be hosted on the cloud and insist on in house SQL servers segregated from the internet. 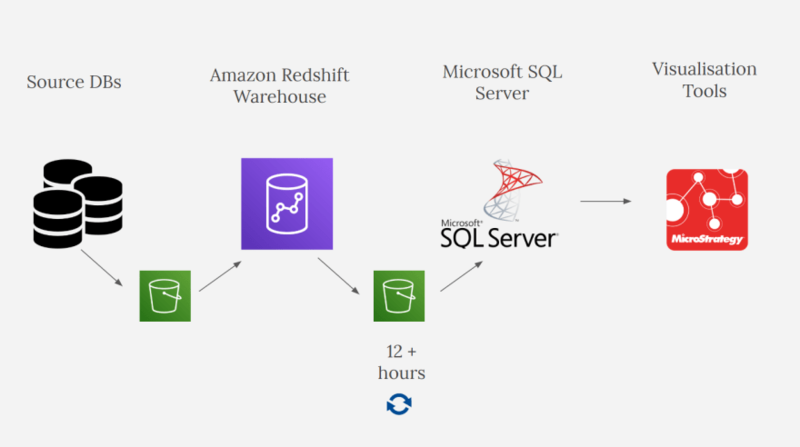 Redshift is used as the BI platform for data modelling by the Data Services team. We move the data to Aurora so any data analyst in the business can use our models without interrupting what's happening on Redshift and without us interrupting what they do. The ease of provisioning in the cloud can sometimes make us to spawn up instances we don't really need and thus, incur avoidable charges. 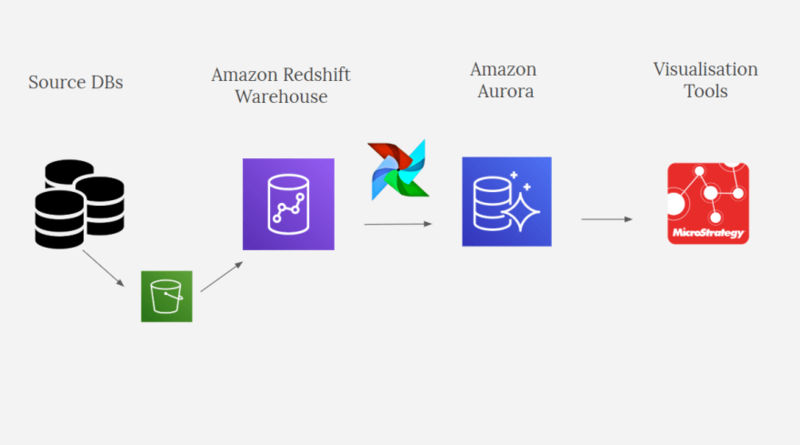 I don't know how many concurrent connections you expect or what you exactly mean when you say "We move the data to Aurora so any data analyst in the business can use our models without interrupting what's happening on Redshift and without us interrupting what they do". But know ye that Redshift is designed to scale and also massively handle parallel query execution. Fair comment on the ease of spinning up new services. The reason we keep things separate isn't just down to scale. We keep a level of abstraction from Redshift, used for our team's models and landing source tables. And the analyst DB, where any analyst in the business can run queries. Our visualisation tool uses Redshift as a data source to provide operational reports for all parts of the business. We've found in the past when our team shared the same platform as the analysts, queries would hit during update windows, they would (accidentally) lock tables, drop tables, and the teams didn't have the same kind of release processes as our team, so it was hard to keep track of who was doing what. We were using the platform as a Production space with Operational reports and couldn't risk our service being interrupted. We didn't want to police 60 users all over the world and they didn't want to be restricted by our teams release processes if they were using the space as a sandbox. So we keep things separate. Exactly my thoughts. Redshift is OLAP oriented unlike Aurora which leans more towards OLTP. I see a lot of capacity under-utilization in this design. Great look behind the scenes at a migration of this scale and the performance improvements you've found. Slightly tangential but would you recommend the AWS ecosystem for someone looking at the different cloud solutions certifications? very interesting post. recently I had to migrate some tables from Vertica to Aurora Serverless because we were building an internal tool and we needed more separation between those tables and the rest of the DWH. Unfortunately, i did not have the time to the Data Migration Service from AWS and since the tables were quite small anyway we went for a naive manual process. I will definitely have a deeper read at your other posts! But I must say that the setup and use of Aurora Serverless, especially via the serverless yml has been a breeze! The team here are pretty excited for Serverless too. 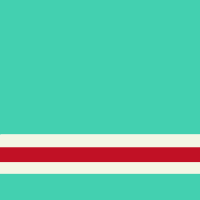 Could you please explain how do you monitor all the process, for example the task scheduler from failures? And if it fails, what’s happen? Sure thing. We use New Relic as our tool to monitor most processes. My team have a roster where we monitor the dashboards during the day and over the weekends. The task scheduled procs that the Analysts build are a little bit different. Our DevOps team built a process that takes care of logs and alerts. Each Analyst creates their proc then adds the relevant details like when it's ideal to run, the service account then securely runs the task. If the task fails then an alert is triggered in the Analyst Slack channel and tags the owner of the proc. I haven't had to convert an entire database before -- bookmarking this for one day when I might. Thanks! Was looking forward to hearing about this, glad it's going well!